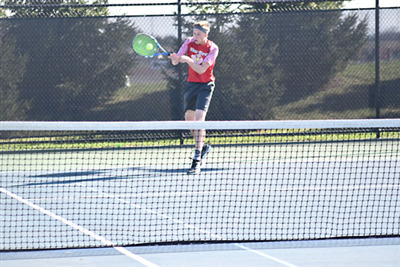 VAN WERT — On Saturday, boys tennis head coach Alex Schmidt beat his dad, Stan Schmidt, as the Cougars defeated Wauseon 4-1. 1st Singles (VW) Kannen Wannenmacher (12) was defeated by Tristan Uribes 1-6, 3-6. VAN WERT — Van Wert hosted and swept Bluffton on Monday. VAN WERT — Wapakoneta took a tight 3-2 win from Van Wert on Tuesday. The Cougars are now 5-3, and 2-1 in the WBL. They will host the Van Wert Invite on Satruday.